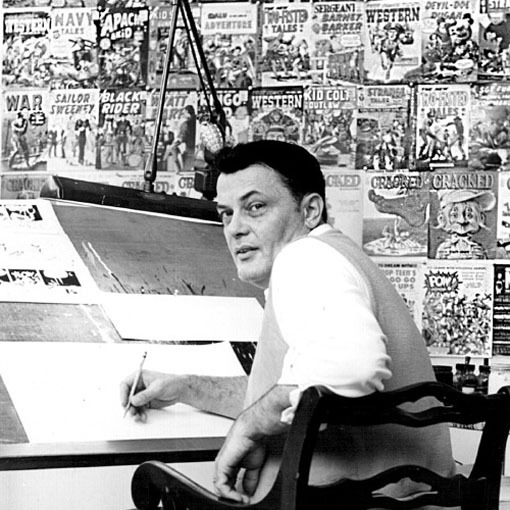 The Marvel Project: John Severin R.I.P. Eisner Award-winning cartoonist and illustrator John Severin passed away on February 12th at the age of 90. Over the course of his sixty-year career, Severin demonstrated remarkable artistic talent and an incredible work ethic that yielded a body of work that includes crime, fantasy, superhero, war, and western stories in comics as well as cartoon and parody for Mad Magazine and Cracked. In a statement released by Severin's family, Stan Lee said "Truly the art world has suffered a great loss with John's passing -- but so has the human race. As a penciler, John Severin had no equal. Besides his inimitable style, there was a feeling of total authenticity to whatever he drew, whether it was a Western, a crime story, a superhero saga or a science fiction yarn...His inking, too, had a distinctive Severin touch that made very strip he rendered stand out like a winner." Visit the Marvel.com catalog to see Severin's work in the Marvel Universe or The Comics Beat for further background on the acclaimed creator.